Kitching, I. J. 2002. 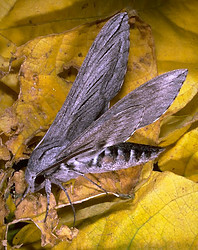 The phylogenetic relationships of Morgan's Sphinx, Xanthopan morganii (Walker), the tribe Acherontiini, and allied long-tongued hawkmoths (Lepidoptera: Sphingidae, Sphinginae). Zoological Journal of the Linnean Society 135:471-527. Kitching, I. J. 2003. Phylogeny of the death's head hawkmoths, Acherontia [Laspeyres], and related genera (Lepidoptera: Sphingidae: Sphinginae: Acherontiini). Systematic Entomology 28:71-88. Kitching, I. J. and J.-M. Cadiou. 2000. Hawkmoths of the World: An Annotated and Illustrated Revisionary Checklist. Cornell University Press, Ithaca, 227 pp. Pittaway, A. R. 1993. The Hawkmoths of the Western Palaearctic, Harley Books, Colchester. Regier, J. C., C. Mitter, T. P. Friedlander, and R. S. Peigler. 2001. Phylogenetic relationships in Sphingidae (Insecta : Lepidoptera): Initial evidence from two nuclear genes. Molecular Phylogenetics and Evolution 20(2):311-316. Dr Ian James Kitching. The Natural History Museum, London. Sphingidae of the Americas. Bill Oehlke. Sphingidae of the Western Palaearctic. A. R. Pittaway. 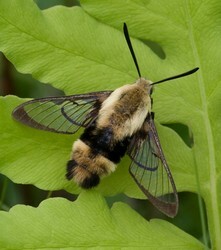 Sphingidae of the Eastern Palaearctic. A. R. Pittaway & I. J. Kitching. 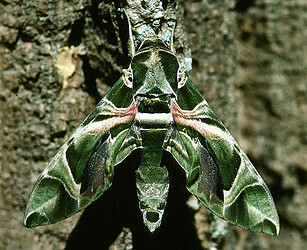 Page: Tree of Life Sphingidae. The TEXT of this page is licensed under the Creative Commons Attribution-NonCommercial License - Version 3.0. Note that images and other media featured on this page are each governed by their own license, and they may or may not be available for reuse. Click on an image or a media link to access the media data window, which provides the relevant licensing information. For the general terms and conditions of ToL material reuse and redistribution, please see the Tree of Life Copyright Policies.